Government to declare residents of southern Tel Aviv eligible for benefits and aid due to the large number of infiltrators living there. 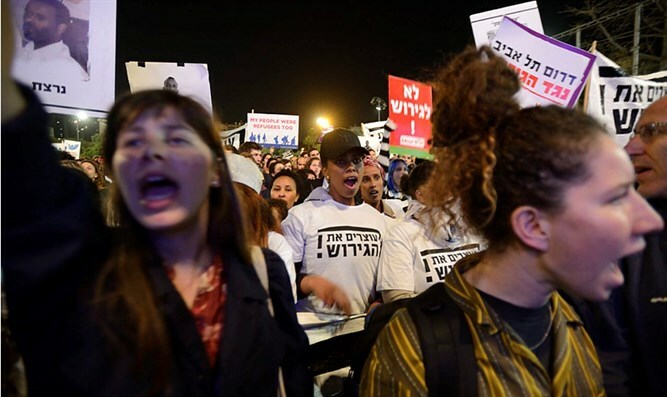 The government will declare southern Tel Aviv a “national priority area” due to the number of infiltrators living there, and will grant residents living there benefits and financial aid, Kan 11 reported. According to the plan, the government will define new "national priority areas,” according to the amount of asylum seekers who live in a given area. In this context, the first local authority to receive benefits worth tens of millions of shekels is Tel Aviv. The report states that the proposal itself includes budgets from a number of government ministries - construction, interior, culture, education, public security and science - in order to improve the situation in the neighborhoods. The state will budget 30 million shekels ($8.2 million) for these plans, and the Tel Aviv municipality will invest a similar sum. Additional funds will later be added to the program. Not only southern Tel Aviv is expected to take part in the program, which is defined as designated for "areas in which the amount of infiltrators is high as a national priority." Practically speaking, the program applies to every local authority that has more than one thousand asylum seekers who make up more than ten percent of those living in that area, and both Eilat and Petah Tikva will also apparently be able to receive such recognition.